The history of aerial refueling is pure nuts. 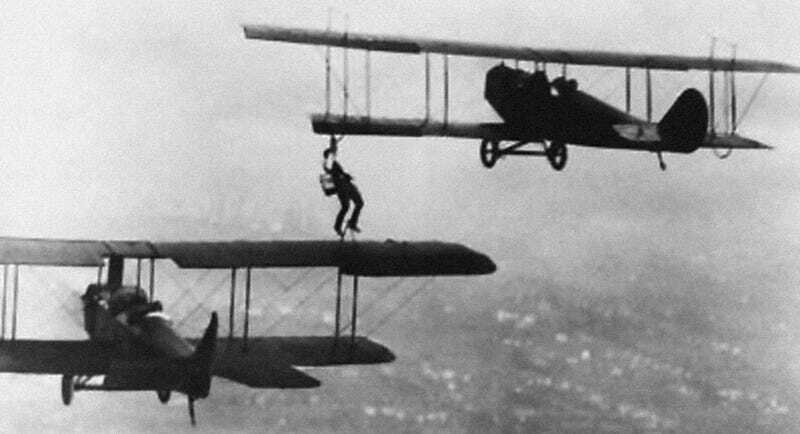 Back on November 12, 1921, the first airplane to airplane refueling happened and it required a guy, Wesley May, strapping a 5-gallon can of gasoline on his back and walking on the wing of one airplane and hopping over to the wing of the other airplane to refuel. That’s crazy! Thankfully, we’ve gotten a lot better at aerial refueling and figured out better systems like using a hose, a boom system, a drogue method and the KC-10 to do all of that. Watch the video above to see how aerial refueling worked.